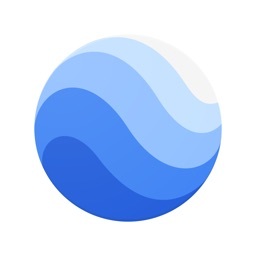 I'll be honest, I thought Google Earth might have gone the way of so many of the search giant's other projects, and been abandoned. However, a long-awaited update to the planet's premier visual exploration app has just been released. It features plenty worth waiting for, so let's look at the best that the new Google Earth has to offer. 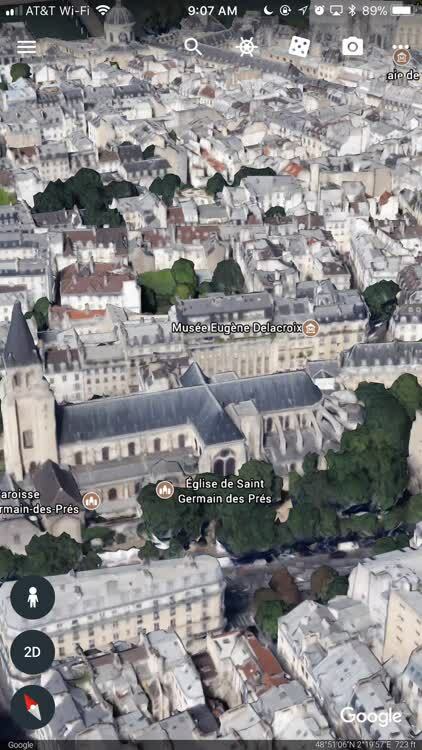 Google Earth, in its latest version, is even more fun to explore. You can get amazing three-dimensional views of all of the world, many spots in breathtaking detail. Tilt and pan the view with two fingers, exploring such sites as the streets of Paris and the farthest reaches of the Outback in Australia. It doesn't matter where in the world you want to explore, Google Earth has the best satellite footage, and almost all of it is available in amazing three-dimensional detail. 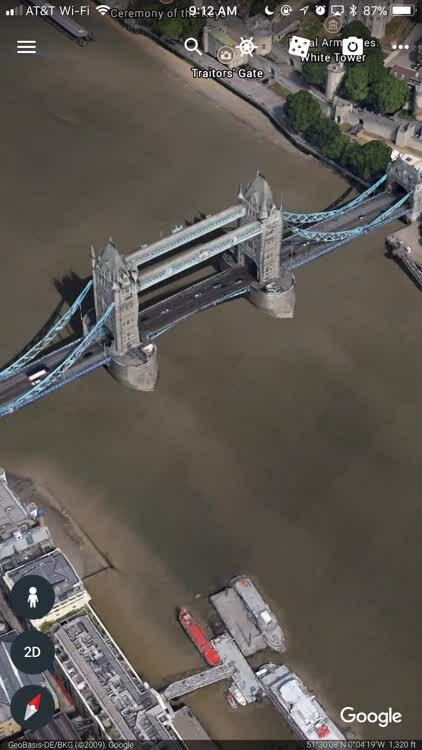 Zooming in on small details in Google Earth has always been fun. You never know what you're going to find, whether it's a grid of strange lines in the Gobi Desert in China, or circles of farmland in the Libyan desert. You can also use Google Earth's Knowledge Cards to learn more about the spots you're exploring. Search for a location, and tap on the cards that appear below the map view. It's a terrific way to learn more about the world. One of the most fun features of the update is the Roll the Dice addition. If you don't know what you want to explore next, just tap on the dice to let Google Earth pick for you. There's no telling what you might find. For example, you might be whisked away to the Sfinxul in Romania, a natural rock formation that resembles the Great Sphinx of Giza when viewed from a particular angle. More rolls of the dice could take you to the Empire State Building in New York City, Gardaland amusement park in Italy, archaeological finds around the world, or much more. Many, if not most, of the locations you are taken to with Roll the Dice feature Knowledge Cards. Couple your visual sightseeing with learning, as you read the cards and find out more about those spots. Found a view you want to share? 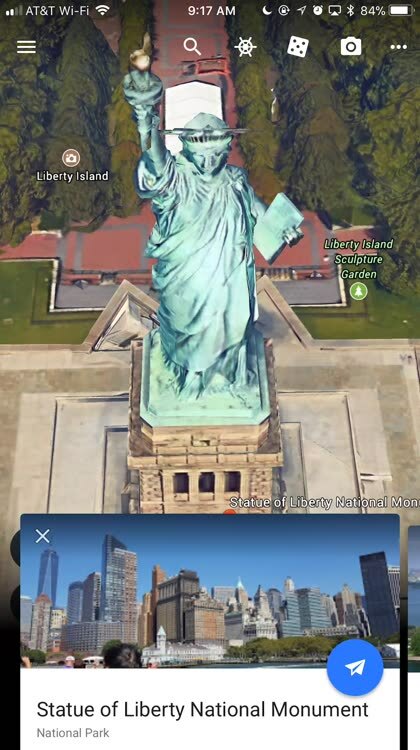 Google Earth has a new Postcard feature. Just tap the camera icon, and you'll get a full-screen view you can share through email, Messages, Facebook Messenger, and more. We might have had to wait almost a year and a half for the search giant to update Google Earth, but it seems the developers weren't vacationing in Cancun all that time. In fact, they've brought plenty of new features to the app for you to enjoy. Let Google Earth's Voyager take you on an adventure throughout the world. 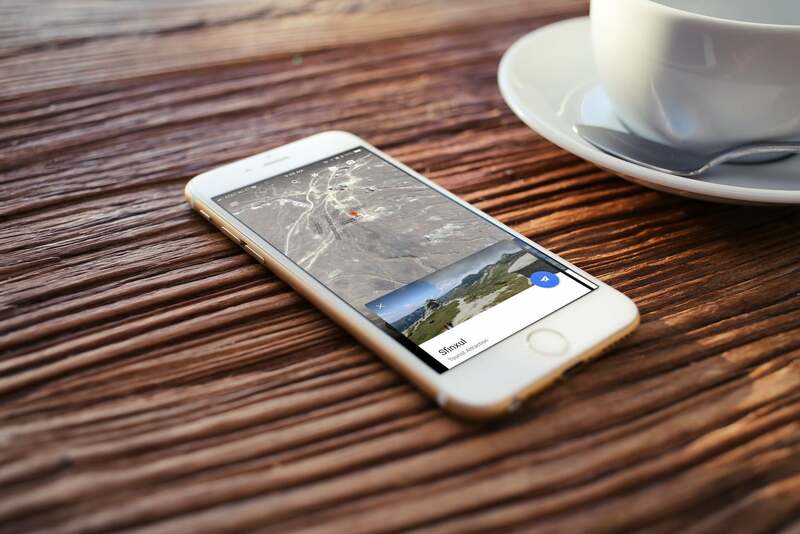 Take a snapshot of your favorite location to send to friends, or use Google Earth's Knowledge Cards to learn more. 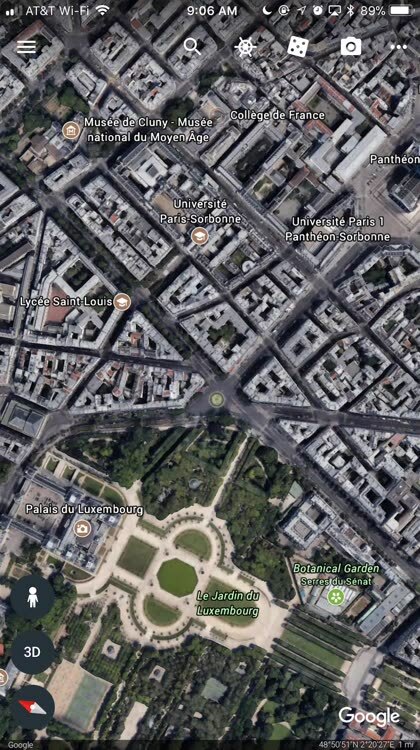 Don't know what to look for in Google Earth? Give the dice a roll, and let the app find a cool place for you to check out. Throughout the Google Earth app, you'll find amazing 3-D views of our planet.